Shamrock Shuffle Sunday – GAME ON! The big day is almost here for those racists running in this Sunday’s Shamrock Shuffle 8K. The plan is similar to prior years’. The race starts 9:30am (note seeded corrals close 9:15). Plan on meeting after the race on the hill across from gear check, munch on some of the post-race food to build a base for the day, and then send out some volunteers to collect “donations” of drink tickets from departing runners who are not going to the party. Once we get “enough” tickets, we’ll move over to the post-race party area and camp out wherever we can find a space large enough for the group, usually somewhere between the music stage and the beer tent. Don’t be a wanker and forget to grab an empty PowerBar box (or whatever you can find) for your “beer-in-a-box”. This year one of our Summer street festival favorites will be playing, Maggie Speaks. 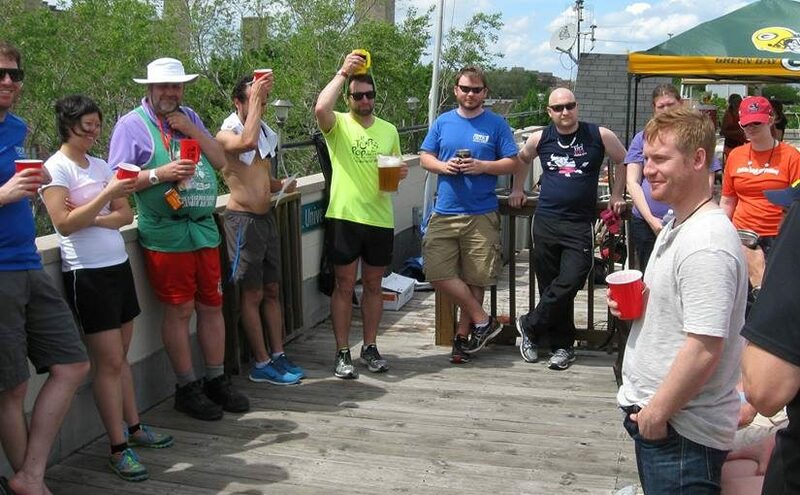 The post-party is free and non-runners are welcome to join us after the race. It will be in Grant Park, East of Columbus between Balbo and Congress. Hit my cell if you can’t find us (312) 925-6386 as there will be a LOT of people there. Bring your ID as you will need it to get a wristband to get beer. Also pacing and food are important as this will be like St. Patrick’s Day – we start drinking 10:30/11am and essentially go all day until after the hash. The party ends at 1:30pm, we usually have enough beer leftover to hold us till 2pm and then we’ll walk across the Loop to the hash at Stocks & Blondes (Washington & Wells). Note the combination of being up super early on Sunday, running the race, and then beer-in-a-box the rest of the time before the hash usually means a lot of the race runners are half in the bag before the hash so walking the trail is acceptable hash behavior. Keep your fingers crossed for nice weather as many of treat this event as “Opening Day” for the 2009 Chicago Outdoor Summer Street Festival Season and ask anyone who’s been before, it’s usually a heck of a great time!